A proposed 299-unit apartment building on the northwest side would include 30 affordable housing units. GlenStar, the luxury developer at odds with 41st Ward alderman Anthony Napolitano over a proposed 299-unit apartment building near the Cumberland Blue Line, has sued the city in an attempt to secure the necessary zoning changes to proceed with construction. But buried in its demands that a judge find city officials' actions regarding its proposed building unlawful is a major legal challenge to the age-old practice of "aldermanic prerogative." This tradition, while not articulated anywhere in city code, has historically given aldermen veto power over developments in their ward. As the case of GlenStar's proposal has shown, when Napolitano decided he didn't want its apartment building in his ward, the City Council's zoning committee complied and didn't grant the developer a hearing or vote on its proposal. Related How’s Chicago supposed to desegregate when developments with affordable housing can be blocked by aldermen on a whim? After this change of heart, Napolitano tried to prevent a vote on GlenStar's proposal by the city's Plan Commission but was unsuccessful. 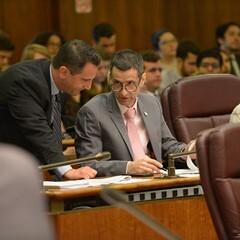 The Plan Commission approved it, and Napolitano set about trying to prevent a vote in the subsequent zoning committee hearing headed by 25th Ward alderman Danny Solis. This time, his lobbying efforts worked, and GlenStar's zoning request hasn't been put to a hearing or a vote since last fall. This has amounted to a denial of its proposal, GlenStar argues, in violation of its rights to due process. GlenStar's attorney, Peter Friedman, explains that the developer played by both the formal and informal rules from the beginning. Though city code doesn't require the approval or involvement of local aldermen or ward "zoning advisory committees" in development proposals, aldermanic prerogative is a well-established practice, and GlenStar is a well-established player in local real estate. The developer thus sought approval from Napolitano, who had already formally told the city he wanted an apartment building on the site. 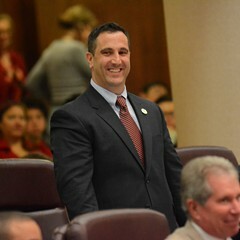 When GlenStar then bought the land, it said Napolitano promised his approval if the 41st Ward Zoning Advisory Council went along. GlenStar made presentations to the advisory committee and got unanimous approval in January 2017. In its complaint, the company contends that Napolitano subsequently again verbally "pledged his support directly to GlenStar." The developer went on to spend more than $350,000 to complete development plans and file applications with the city, with the understanding that the plans had the alderman's blessing. Friedman says at that point, if aldermanic prerogative was indeed in effect, the project should have moved forward. 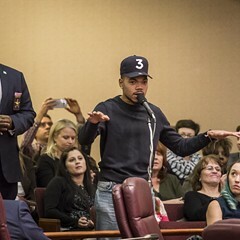 He argues that approval shouldn't be reneged on willy-nilly when an alderman changes his or her mind. Galvanized by protests against an affordable housing proposal, Jefferson Park residents are looking to leverage their nascent organization for further community uplift. Aldermanic prerogative has been acknowledged by judges in federal courts on at least two prior occasions, in cases centering on Chicago zoning decisions from 1997 and 2009. But the practice—widely accepted and proudly honored by aldermen despite its total informality—has never been successfully challenged in court. "Perhaps the reason the prerogative has not been challenged is because aldermen generally use it responsibly," Friedman says. "When they say they support something, they support it, and they can't then four months later change their mind. . . . If the City Council wants to continue to honor the aldermanic prerogative, then this denial [of GlenStar's zoning request] cannot be allowed to stand." 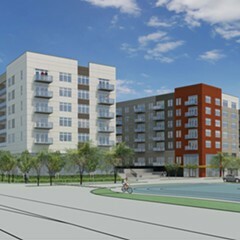 Ironically, last September, a resident of the 45th Ward sued the city over a proposed development near the Jefferson Park Blue Line, which is supported by alderman John Arena. That suit contends that Arena wielded aldermanic prerogative inappropriately because he didn't cave to community pressure against the building. Individual aldermen's sway over development decisions has long troubled urban planning experts in Chicago. 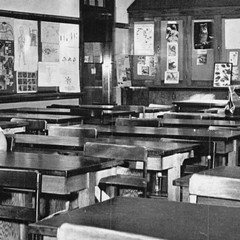 For decades, aldermanic prerogative has reinforced segregation as white aldermen refused to allow public housing projects or even scattered-site public housing units to be built in their wards. 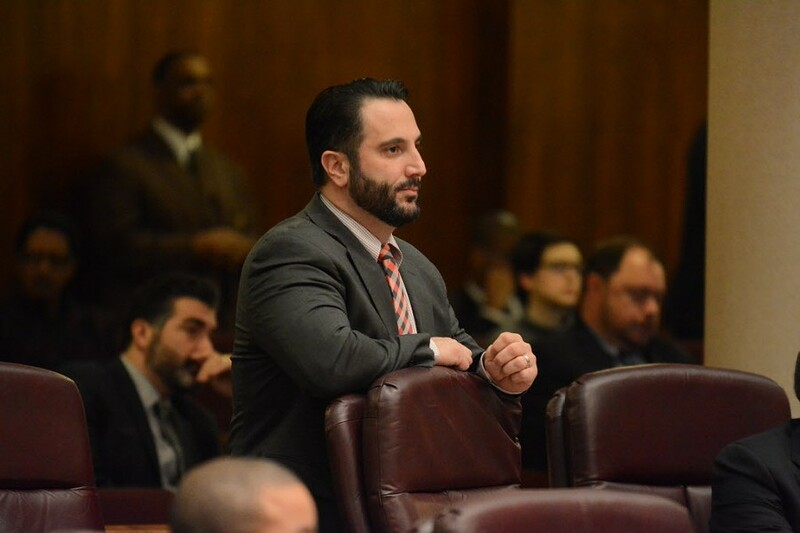 Aldermen have also been known to wield their prerogative to kill proposed buildings that have gotten bad press, or when developers haven't shown sufficient gratitude in the form of campaign contributions. (Council members are also sometimes willing to vote for plans they don't necessarily support in deference to the practice, especially when it comes to projects pushed by the mayor.) Napolitano, and many who came before him, defended their decisions with the justification that they're representing the will of their constituents. Napolitano didn't respond to the Reader's request for comment, but his chief of staff Chris Vittorio previously told Crain's that GlenStar's lawsuit is "frivolous," and said the alderman "is ultimately focused on what his ward wants and what the residents want and don't want." Napolitano has also previously denied that he expressed a commitment to the building before changing his mind. In a recent blog post reflecting on this issue, Metropolitan Planning Council vice president Marisa Novara argued that too much local control over zoning and planning decisions can have a detrimental effect on the city as a whole. "I am seeing 'listening to the community' held up as the decision-making North Star when it’s actually being used to justify exclusionary and even racist decisions," Novara wrote. She added that research has shown "a troubling correlation between the number of public sector entities making land use decisions and levels of segregation." Chicago, she points out, has much greater local representation than other major cities. While our 50 aldermen represent about 54,000 residents each, New York has one city council member for roughly every 166,600 residents, and Los Angeles has one for every 264,600 residents. This makes it much more difficult to set citywide planning priorities in Chicago, she argues. And when it comes to affordable housing, aldermen are much more likely to cave to the NIMBYism that reinforces segregation. "It is a pretty basic notion that all communities need to contribute to the city's affordable housing needs," Novara said in an interview. "And if that is our basic principle, then individual communities should not be able to opt out of that contribution." An audit released by the city's inspector general last year found that between 2007 and 2015, 57 of Chicago's 77 community areas had created no new units of affordable housing. Some would argue that it's beneficial to have Chicago aldermen represent relatively small constituencies because that makes it easier for grassroots groups to influence their elected officials. 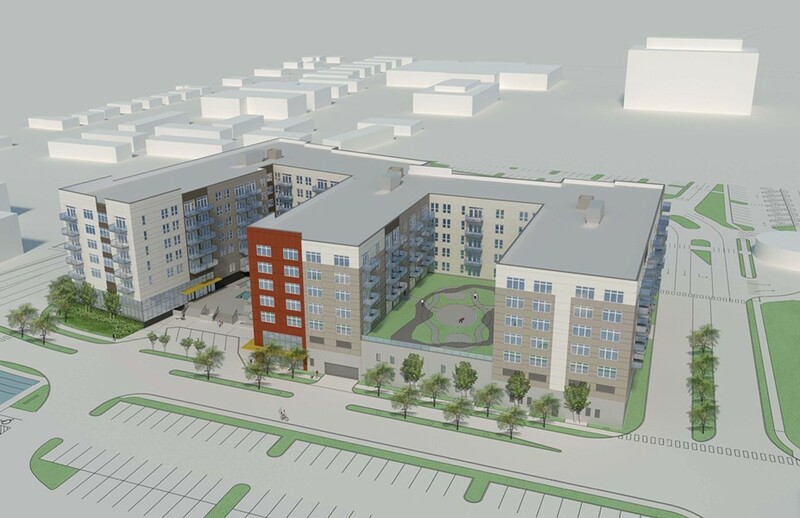 For the last year, residents who support affordable housing on the northwest side have rallied behind GlenStar's proposal and the affordable housing being planned in Jefferson Park. But while they've succeeded in building an alliance with 45th Ward alderman John Arena, Napolitano—the only Republican on the City Council—has favored the voices of NIMBYists. In exercising their prerogative aldermen aren't required to explain how they know what their communities want or prove they're truly representing residents' wishes and not advancing their own agendas. 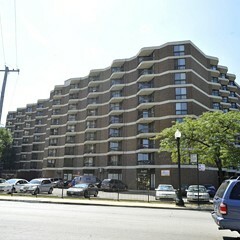 Despite Napolitano's insistence that he heard from a number of 41st Ward residents opposing GlenStar's apartment building last spring, he's yet to produce any hard evidence. The lawsuit could now force him to do so, as the developer would be in a position to subpoena records and depose Napolitano and his staff. In GlenStar, the challenge to aldermanic prerogative has found the unlikeliest of crusaders—a luxury developer whose primary mission isn't to provide affordable housing or desegregate the city. While the company wants to fully comply with the letter and spirit of the Affordable Requirements Ordinance, it never set out to make a principled stand about affordable housing on the northwest side. Friedman says that the developer's objective with this suit is just to get the necessary city approval to get its building built. Because GlenStar already has city permission to build an office building on the same site, its decision to construct an apartment building instead requires only an amendment to the approved planned development. The company wants to do everything it can to make sure the time, effort, and funds it sunk into procuring the zoning amendment didn't go to waste. "GlenStar's primary hope here is that the city will quickly allow this matter to be resolved so that GlenStar can proceed with its proposed development," Friedman says. "[The company] only filed this complaint as an absolutely last resort." Nevertheless, if the city doesn't move to settle and the judge finds that the custom of aldermanic prerogative is unlawful, the case could have wide-ranging ramifications for planning and development in Chicago. A spokesman for the city's Law Department declined to comment on the case. The city has until mid-July to respond to GlenStar's complaint or file a motion to dismiss the case.